This weekend, prepare yourself for not just an incredible Car & Truck Show, but an awesome lifestyle event too! The Ocean City Car & Truck Show features all years, makes, and models of vehicles. Motorcycles will be featured at the show as well. On top of cool vehicles there on display, there will tons of other great activities. From games, Dance Crews, Breakdancers, DJ's spinning hot music, RC Racing, Amp Nascar Simulator, promotions by movie studios, Free giveaways, and awards. Some of the best custom car builders in the US will be here, showing off their custom cars. You can get up close and see their hours of hard work. Including all this, there will be performances by some of today's leading music artists like, Lloyd Banks, Freeway , and Sean Garrett. Obviously, there will be hot models there too. I will be going to cover the show. I hope to see you there! Take a trip over to Ocean City, MD May 19-22 to for all the fun and excitement of the 21st Annual Cruisin Ocean City Car Show. 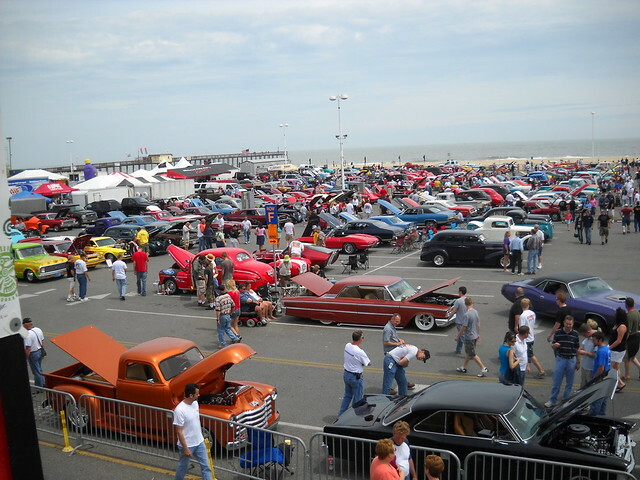 Thousands of Hot Rods, Classic Cars, Trucks, and Customs will be out on the streets of Ocean City. There will be awards, a racing simulator, celebrity guests, vendors, auctions, show & dance, elvis mania, boardwalks parades, and lots of other fun activities and events. It will quite an event, like all Ocean City car shows. Children under 14 are Free! Ocean City always has great car shows and this one should be no different. So be sure to cruise over for the 21st Annual Cruisin Ocean City Car Show.